When Audi talks about concentrating on the future of its electric vehicle lineup – it’s not joking. The brand today launched 20 pilot Audi A1 e-tron units on the roads of Munich. Audi, E.ON, the public utility Stadtwerke München and Technische Universität München (TUM) are project partners in this fleet trial. E.ON and SWM are in charge of expanding and maintaining the charging infrastructure in the Munich metropolitan area. 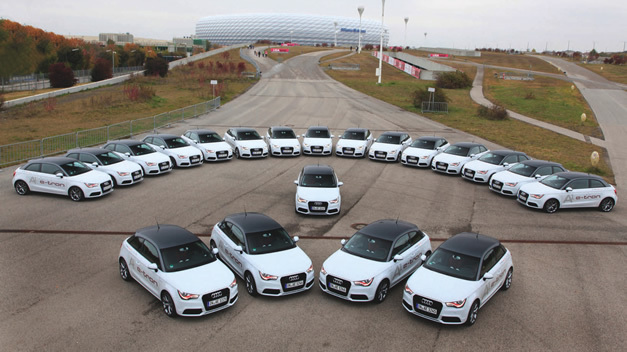 While some pilot participants received their keys last week, Audi handed over the rest of the A1 e-tron fleet to project partners and other trial participants.